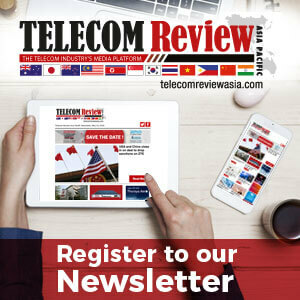 Thailand has announced its ambitious aim of introducing broadband access to every village in the country by 2018. The Thailand government has recognized the power of the digital economy in terms of creating innovation – which can significantly reduce the gap between rich and poor in the region. 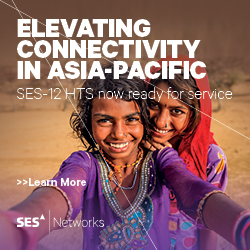 It has declared its long-term commitment to embracing technology and will attempt to bring connectivity to even the most remote parts of Thailand. Mobile operators in India have been ordered by the Supreme Court to re-verify the IDs of the country’s 1.1 billion mobile subscribers. The court order is an exercise which has been projected to cost telcos in the region around $153m. Legal authorities have given the telecommunication companies in India a deadline of February 2018 - in order to complete the request. The FCC (Federal Communications Commission) has disclosed that the agency is currently conducting a forensic and in-depth regulatory review - as it continues its attempts to remove regulations deemed outdated and that in fact only serve to create barriers for business. The comments were made by the head of the FCC, Ajit Pai, who also claimed the regulatory body was keen to adapt certain rules to the digital age in order to increase innovation. US tech giants Google has announced it will lodge an objection in relation to tax amendments issued by the Australian Taxation Office – in which it alleges that the company owes billions in unpaid taxes. The Australian Taxation Office (ATO) has tightened its policy over with regards to the amount of tax multinational conglomerates that operate in the country pay. Chaesub Lee, Director, Telecommunications Standardization Bureau, ITU, has called for the creation of technical standards in order to support the exchanging of ‘open data’ which can then be made available to ‘everyone’. Mr. Lee made the remarks at the world’s first ever forum on ‘Data Management’ which was held in Dubai. 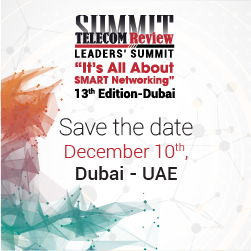 The event was a joint collaboration hosted by the Telecommunications Regulatory Authority (TRA) and ITU. The forum which was called ‘Transforming Data into value expanding the IoT potential with a special focus on Smart Cities’ - will be the first in a series of discussions that invites experts and key decision-makers to come together and examine the key challenges and opportunities presented by ‘Data Management’. Apple’s request for tax concessions in India has been formally rejected by its Finance Ministry. The request made by the US smartphone giant will now be referred to the council that oversees taxation on goods and services in India. Apple announced earlier this year that it would start manufacturing its iPhones in the country by the end of April. The decision was made to comply with the Prime Minister’s ‘Make it in India’ initiative - which requires smartphone manufacturers to produce 30% of their product’s components on India soil in order to open a retail location in the region. Japanese Prime Minister Shinzo Abe has declared during a video address made to leaders at the World Government Summit in Dubai that diversity is the key pillar for growth and critical in order to create new ideas and foster innovation. Mr. Abe was officially represented at the summit by Japan’s Minister of State for Foreign Affairs, Kentaro Sonoura. A number of key business leaders across Asia have repeated calls for next-generation manufacturers to focus on ‘innovation’. In their respective speeches at the Global Manufacturing and Industrialization Summit in Abu Dhabi they all called for manufacturers to remove distribution barriers and improve the speed of delivery. In addition to this, the business leaders shared the same vision of empowering youth with high-tech skills which they feel is required in order to drive the ‘Fourth Industrial Revolution’ and is critical to sustaining economic growth in the region. Dr. Renato de Castro an esteemed and respected International advisor for World e-Governments Organization of Cities & Local Governments (WeGo), has shared three intriguing 'Smart Cities' predictions in a paper entitled Smart City: Disruptions and Predictions.